If you have played sports or seen a Gatorade commercial on tv, you are undoubtedly aware of electrolytes. But do you know what they are and why they are important to us? While on the ketogenic diet especially when first starting your micronutrients and electrolytes, which include sodium, potassium, magnesium, and calcium tend to drop and that can cause symptoms of the keto flu. This decrease in electrolytes happens due to increased water, glycogen and electrolyte excretion as insulin levels naturally drop in the absence of carbohydrates. Insulin is responsible for much more than just controlling the glucose level in your body as you can see from its effect on water and electrolytes. Many people experience electrolyte imbalances and dehydration when they first get started on this way of eating because your body generates smaller amounts of insulin and glycogen stores are depleted. When you consider for every gram of glycogen stored our bodies also store three grams of water. This depletion of glycogen is what leads to losing many pounds of water weight at the beginning of keto. This is a great feeling and can be good motivation early on especially as you see the scale move in addition to feeling less bloated. But keep in mind you are also losing key micronutrients and electrolytes that our bodies need. These micronutrients are critical in small quantities for our survival. Electrolytes like sodium and potassium are charged substances required to maintain standard bodily functions. A chemistry professor would tell you an electrolyte is a compound which produces ions when dissolved or mixed with water. These ions have either a positive or negative electrical charge and are why we call them electro-lytes. So to keep it simple we refer to electrolytes as minerals in your blood and other body fluids that carry an electric charge that hydrate the body, control nerve and muscle function, balance blood pressure and acidity, and help rebuild damaged tissue. You lose electrolytes when you sweat or urinate so you must replace them by drinking fluids and eating foods that contain electrolytes. Important to note water alone does not contain electrolytes. There are many electrolytes found in the body, each serving an important role, but most are involved in maintaining the balance of fluids between the inside and outside of the cells. We will discuss the four we hear most about in the keto and nutritional world, but if you are curious, you can read more about other electrolytes here. Sodium is an essential electrolyte for humans that helps the body regulate blood pressure, water levels and pH balance. As noted above when you decrease your carb intake your insulin levels drop which leads to excretion of both water and sodium. You need to consume a minimum of 500mg per day for your body to function properly. If you feel lightheaded, it can be a sign of low blood pressure, and it’s possible that you may need to increase your sodium intake. Please note: If you experience this often it might be a good idea to have your blood pressure checked by a doctor. Potassium is a crucial mineral that assists the body to maintain proper pH balance, build proteins, regulate the electrical activity of the heart and support healthy growth. Much like sodium, potassium levels can drop due to water excretion while on keto. Meat and vegetables serve as a good source of potassium. Bananas are thought of as a great source of potassium, but since we can’t eat bananas on keto you will need to find other more ketogenic friendly foods to make sure you are getting enough potassium in your diet. Magnesium serves many functions in our bodies like regulating blood glucose levels, helping energy generation, encouraging a healthy immune system, regular heart rate, in addition to normal muscle and nerve functions. Magnesium deficiencies are common even when not following a ketogenic diet, but may also need to be supplemented due to the excretion of crucial minerals from low insulin levels in the absence of high carbs. You can buy a magnesium supplement or eat more healthy avocados, spices, leafy green vegetables, low carb nuts like almonds, pumpkin seeds, and Hazelnuts and even coffee or tea. Calcium is essential to cardiovascular health, transmission of nerve impulses, muscle contraction, and blood clotting. Calcium deficiency is usually not an issue for those following a ketogenic lifestyle since we get lots of calcium from the healthy whole foods we eat like cheese, fish, broccoli, almonds, sardines, and greens. The good news is once you become keto-adapted your body tends to return electrolyte levels back to normal. But you may have to continue to supplement sodium, potassium, calcium, and magnesium depending on how you feel, the types of food you are eating and how often you are exercising. Eating a healthy, whole food diet will help you keep your electrolytes balanced. In my personal experience sodium is a big one for me as I exercise regularly, so I like to supplement sodium with Himalayan Pink Salt. Experts in the ketogenic diet world like Dr. Stephen Phinney recommends 3 to 5 grams of sodium and 2 to 3 grams of potassium daily for individuals who exercise regularly. Our bodies are made up of mostly water, and it is essential to how we feel. You need to drink lots of water each day. Just like how we lose electrolytes due to a drop in insulin when we start eating less carbs it also causes your kidneys to release more water. You need to replenish that water to prevent dehydration and help prevent symptoms of the keto flu. Whether just starting a ketogenic diet or you’ve been eating this way for a long time it’s important to get the right amount of electrolytes and water each day to avoid things like the keto flu and other potential health-related issues from a lack of minerals or water. What is Keto Headache and How to Avoid it? The keto headache is something that is experienced by many people during the adaptation phase of the keto diet. When you switch to keto, you are changing your body’s energy production system from running on glucose to running on ketones. When you restrict your intake of carbohydrates, your body’s blood sugar levels will drop way down. This puts your entire system through a lot of stress as it is shunted out of its comfortable routine of ingesting lots of sugar, using some of it for energy and storing the rest as latent energy in the form of body fat. Your new energy system is going to be a lot more efficient and better for you, but you have to go through a transition phase to get there. The transition phase to keto often brings with it what has come to become known as the ‘keto flu’. The symptoms are similar to the actual flu and include regular, annoying headaches. Low blood sugar can be quite stressful to the brain and nervous system, especially when they have been relying on glucose all of your life. The body reacts as if you are going into a state called hypoglycaemia. Headaches are a very common symptom associated with hypoglycaemia. During the transition phase, your brain will not know where to get the energy that it needs. Basically, your brain gets confused, wondering . . . In the absence of sugar coming in from your diet, your body will continue to decrease blood sugar levels. This, in turn, increases the production of the stress hormone cortisol. Cortisol is produced by the adrenal glands and has the purpose of ensuring that you get the energy that you need to survive. Cortisol production is triggered when your blood sugar levels reach a certain low point. Cortisol is a very clever hormone that actually has the ability to initiate a process known as gluconeogenesis. This is the process by which protein is converted to energy. Cortisol will put stress on your brain, adding to the general brain fog. It can lead to a pounding headache which, unfortunately, can be so bad that it causes people to throw in the whole low sugar idea and reach for a cream donut. When we get down to specifics, we discover that there are 3 main causes for the dreaded keto headache . . .
Sugar acts like a reward for the brain. It produces a sugar high that has been equated with the high that comes from taking illegal drugs. It’s no surprise, then, that, withdrawal from sugar will produce similar withdrawal symptoms to those you would experience when trying to get off hard drugs. Not everyone who begins transitioning to the keto diet will get the keto flu. For those who do, the duration of it can be anything from a day to a week. However, for most people, it should be done within a couple of days, so long as they don’t give in and splurge on carbs. For that reason, a lot of people begin their keto journey on a Friday night so that the headache run its course over the weekend and is, hopefully, done before you head for work on Monday. When you begin on keto, you will start to lose weight very quickly. This can be very encouraging but it is likely that the majority of what you’ve lost is not fat, but water. Strict carb reduction causes the body to flush out water, and along with it, salt. For every gram of glycogen that your body is not getting, you lose twice as many grams of water. When you go on keto, your glucose intake is severely restricted. However, the water loss continues. In addition to the loss of water, you also rid your body of some very important electrolytes. This includes magnesium, sodium and potassium. These three, especially, are important for proper brain functioning. Insulin is a key regulator of electrolyte activity in your body. However, it’s key role is as a transporter of glucose. So, when you severely restrict your carb intake, as on a keto diet, your body’s production of insulin will be much lower. When you have a lower amount of insulin coursing through your body, you will also have a reduced amount of key electrolytes, including sodium. This reduced sodium is yet another contributor to the keto headache. Another electrolyte that will be reduced during your keto transition is potassium. Low levels of potassium have been linked to depression, muscle cramps and general irritability. Magnesium deficiency leads to similar problems. The bottom line on why you get a keto headache is because your body is having a hard time transitioning from a glucose based energy system to a ketone based energy system. So, whatever you can do to improve the efficiency of that change-over, the better. Metabolic flexibility refers to your body’s ability to adapt from a carb based fuel source to a fat based fuel source. The faster your body can make this transition the less frequent your headaches and other keto flu symptoms will be. We have already identified water loss as a key contributor to the keto headache. As a result, you should increase your intake of water during the transition phase. Set your goal to take in three liters (100 ounces) of water each day during your keto transition. At the same time, cut out other fluids that act as dehydrating agents. These include coffee and alcohol (which you’ll naturally be eliminating due to their carb count anyway). Sodium loss is another contributor to the keto headache. You need to mitigate this loss by increasing your salt intake during the keto transition phase. Over the course of each day, make it your goal to take in 6,000 mg of sodium. A great way to increase your levels of sodium is to start taking bone broth. Bone broth is made from bones and connective tissue and is also a rich source of collagen, which will provide you with a whole host of health benefits, including strengthening your teeth, skin and joints. Purchase four pounds of chopped beef bones from your local butcher (with the marrow kept in). Also pick up two celery stalks, two onions, four cloves of garlic, and your choice of herbs. Put all of these ingredients into a large pot along with 18 cups of water. Allow the concoction to simmer for 48 hours. During your keto transition, have a cup of bone broth in the morning, another at midday and a final cup in the evening. The sooner you can negotiate your way through the keto transition, the better. So, providing your body with plenty of its new fuel source will help that process. You should be aiming for 70% fat intake. 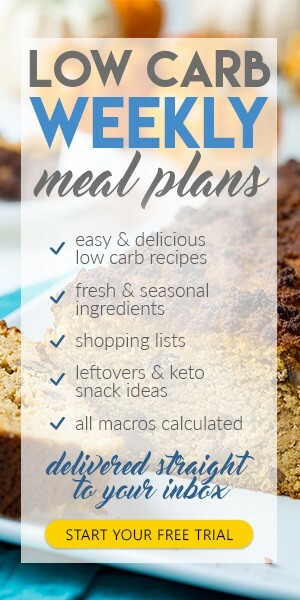 During this initial stage you will want to keep a careful record of your macros. 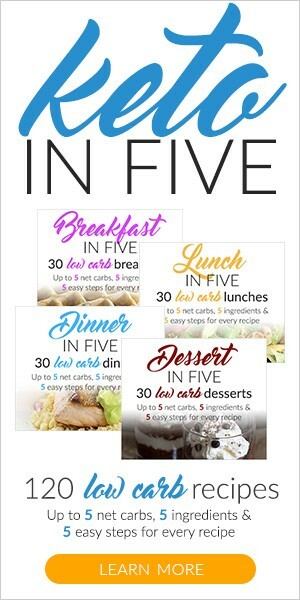 To do this easily, you can make use of apps like MyFitnessPal. You won’t have to do this forever, but initially it is easy to overestimate your macro consumption. Your fat content during this phase should consist of fatty meats, along with chicken thighs and fatty fish such as salmon. Make liberal use of macadamia and coconut oil. When you transition to keto, your body produces cortisol in response to the lowered blood sugar levels. This may trigger the process of gluconeogenesis by which protein is converted to energy. For this reason, you do not want to take in too much protein during the keto transition phase, as it will simply prolong the adaptation to fat burning. However, taking in some protein when you feel a headache coming on will help to eliminate it. Have some hard-boiled eggs on hand and consume a couple of them, along with a handful of walnuts and almonds for fats and extra protein. You should aim for 25% of your macros coming from proteins during your keto transition phase, with the emphasis on red and white meats, fatty fish, nuts and dairy. When you are suffering with the normal flu and headache, the last thing you want to do is to exercise. However, working out as part of your lifestyle will greatly lessen the effects of both the keto flu and accompanying headache. Regular exercise has been seen to increase your metabolic flexibility. In other words, if you regularly work out you will be able to transition to keto more easily. L-carnitine – In order for the body to use ketones as its energy source, it needs to get the fatty acids into the mitochondria. It needs carnitine in order to transport the fatty acids. Co-enzyme Q10 – Co-enzyme Q10 also assists in the transportation of fatty acids that is vital to the keto transition process. Omega-3 fatty acids – Omega-3 fatty acids are vital to brain health. They will also help to lower your triglyceride levels, which will also help in the fat mobilization process required for energy production. The keto headache is something that you will probably experience during your transition to keto. It’s not a pleasant prospect, but it’s also not something that should keep you from undertaking the keto journey. The half dozen strategies that we’ve laid out here will go a long way to mitigate the effects of the keto flu. And then, once you get through it, you will have entered into a nutritional lifestyle that will make it all worthwhile.